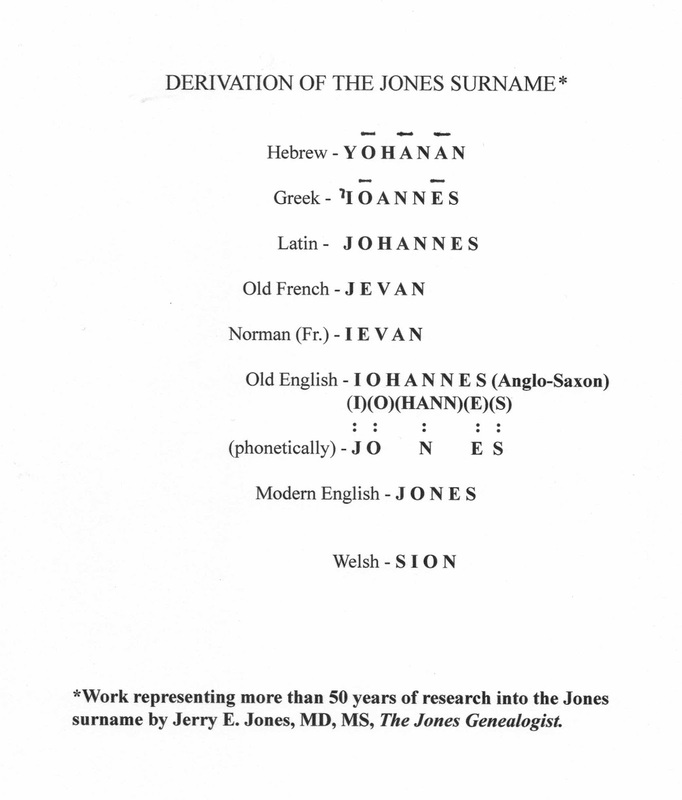 Placing your surname into its language origins will often provide additional insight into your family tree. Language has a way of explaining the roots of words, and the derivation of their meanings. 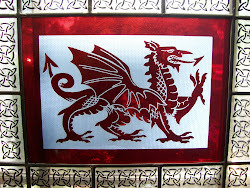 Many surnames take their meaning from trades, crafts, or activities that were first the way of life for the family. The surname "Smith" for instance derives from the labor of the hammer and anvil. The Saxon word "smytt"(1) means "strikes" which would certainly be the main activity of those pounding the iron. 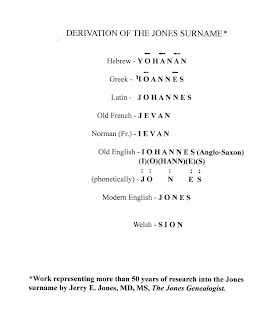 The figure to the right shows the language derivation for my surname Jones. It took a number of years to put all this language stuff together, but it has a history all to itself. From Hebrew to modern English. Who would have thought. Digging roots can be fun. (1) Corson, H., Hand-Book of Anglo-Saxon, Henry Holt & Co., 1873, p.447.